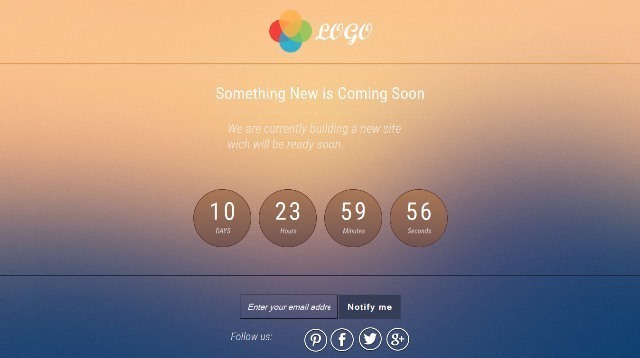 Best free and premium under construction and coming soon page templates. These templates are fully responsive and easy to customize. Comix Under Construction Flat Responsive is a free website template. 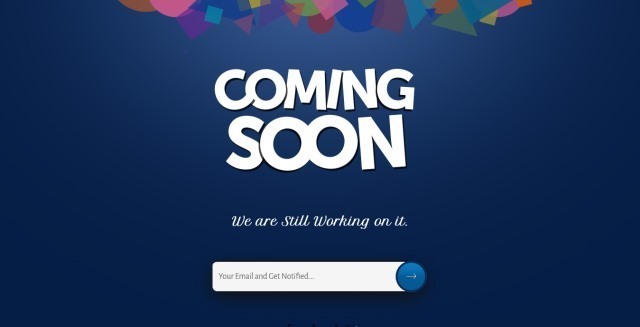 Coming soon Under Construction Responsive is a free website template. 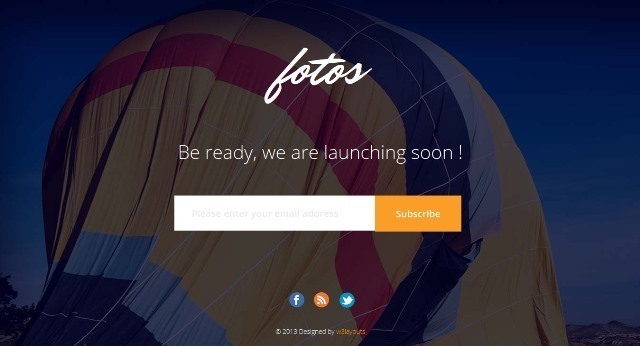 Fotos Website Launching Soon Under Construction is a free website template. A Orbitex is perfect if you like a clean and minimalistic design. The pack allows you to use 6 different type of pages: static background, audio background, slideshow background (2 versions) and video background (Youtube orVimeo). Fresh is a free Coming Under Construction Website Template. This template design as pure html and responsive css and we used jquery timer for time representation. Grand is a free Under Construction Website Template. Grand is a Responsive Design compatible in all browsers and mobiles, Tablet pc’s. Rabbit is a minimal, responsive, business coming soon / landing page / one page HTML5 template. This multipurpose, customizable template, includes AJAX subscription, mailchimp ready, working contact form, custom backgrounds and much more. Dark Under Construction Mobile Website Template. Dark is a Responsive Design compatible in all browsers and mobiles, Tablet pc’s. 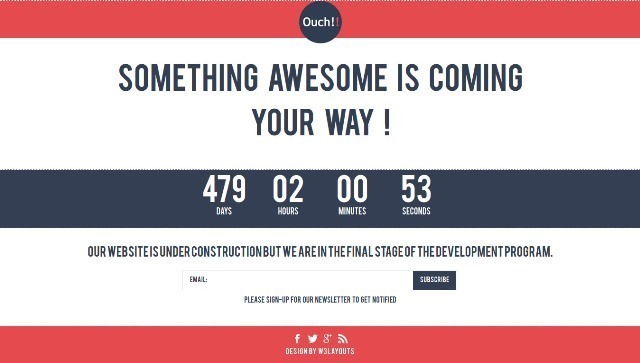 Ouch is a free Under Construction Website Template. This template design as pure html and responsive css and we used jquery timer for time representation. Eri is a creative, modern, minimal and fully responsive coming soon/under construction template suitable for any creative business agency. Features are Responsive Design, Bootstrap 3.3.1 Compatible, W3C Valid HTML, AJAX Subscription Form, Working Contact Form, HTML5 Video Background, Parallax Background, Youtune Background, Mailchimp Integrated and more. 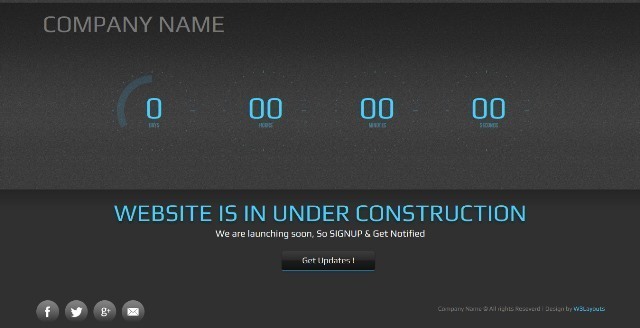 Soon is a free Under Construction Website Template. This template design as pure html and responsive css and we used jquery timer for time representation. 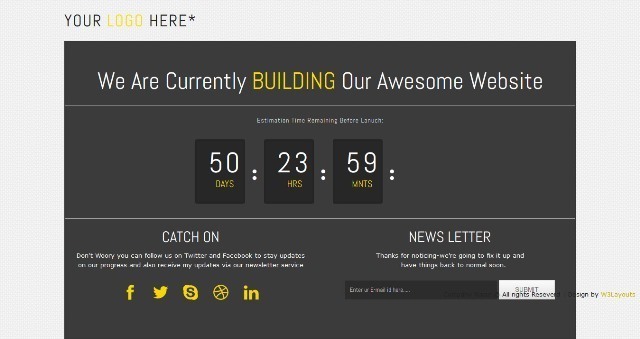 Professory is a free Under Construction Website Template. 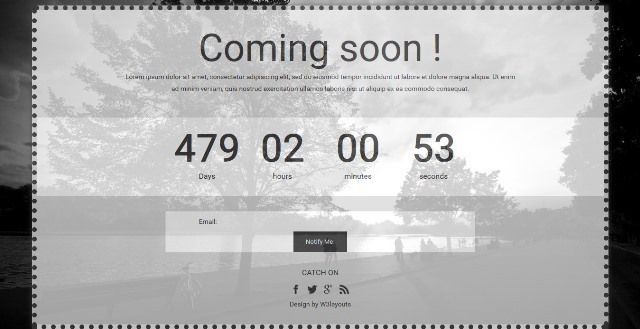 Professory template design as pure html and responsive css and we used jquery timer for time representation. Feather Touch is a clean, modern and responsive HTML5 template perfect to keep your audience informed about the official website launch. 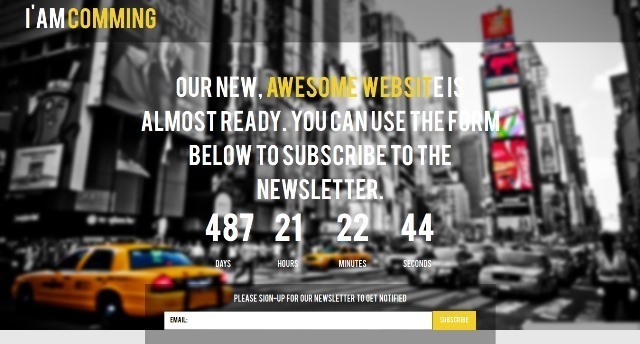 Am coming is a free Under Construction Website Template. This template design as pure html and responsive css and we used jquery timer for time representation. 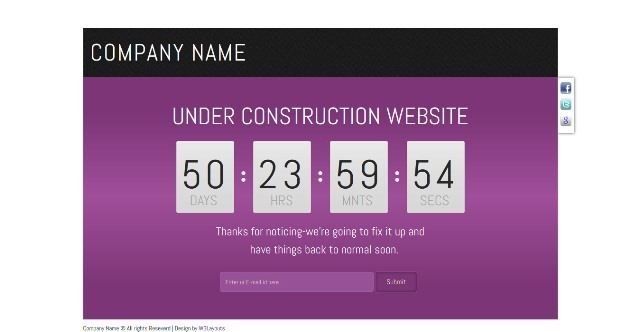 Construct is a free Under Construction Website Template. This template design as pure html and responsive css and we used jquery timer for time representation. Sandglass is a creative, minimal and fully responsive under construction template. Features are Counter, Responsive Design, CSS3 Animations, 12 Background Styles, 6 Color styles, Mailchimp Integrated and Working Contact Form. Dark Board is a free Under Construction Website Template. Dark Board template design as pure html and responsive css and we used jquery timer for time representation. 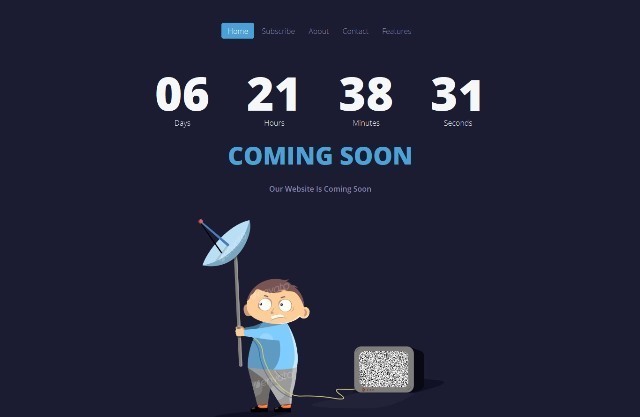 Blue Sky is a free Under Construction Website Template. This template design as pure html and responsive css and we used jquery timer for time representation. UkieBoy is a Responsive Animated Coming Soon Template with Retina Ready, Simple animations, Unique design, Fully Responsive, 4 different animations, 4 background colors, Google Font, Full Documentation and HTML5 & CSS3 Coding. 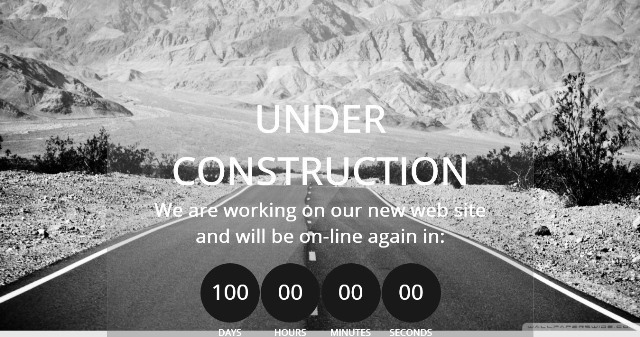 Speedo is a free Under Construction Website Template. This template design as pure html and responsive css and we used jquery timer for time representation. Franze Pink under construction web template for the under constructional website in on going progress for the website development stage and It supports all browsers and all smart phones. 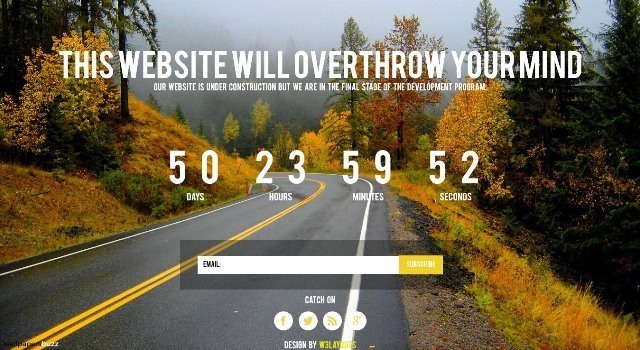 The pearl is a free under construction webpage for the under construction website Template. wonderful HTML templates..thanks for sharing.. Awesome list with great work ! thnx you for best collection . Good post i really like.. Thanks for the great word press best coming soon and under construction templates list. There are so many interesting templates out there ! Thanks for sharing wonderful resources. I am waiting for these.